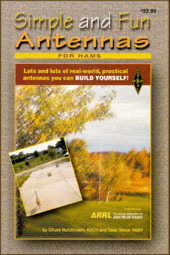 Finally, a no nonsense, hands-on, practical book about antennas! Filled with more than 70 well tested, fun and entirely useful projects ©2002 A.R.R.L. List price $22.95.